1 (b) Household effects may be imported free from customs duties provided that they are used and have been in your possession for at least one year, and is not intended for any other person or sale. 1 (c)Personal and household effects, new, admitted as such by the Comptroller of Customs not exceeding a C.I.F. (Cost, Insurance, and Freight) value of BZ$20.000.00 which accompany a Belizean family or Belizean Citizen without having a family, returning to reside in Belize who have resided abroad continuously for at least three years immediately prior to their return and which are for their personal use and are not intended for any other person or for sale. General Sales Tax of 12.5% is applicable on new household effects based on the C.I.F value. 1 (e)Used implements, instruments and tools of profession, trade, occupation or employment approved by the Ministry of Finance and admitted as such by the Comptroller of Customs, of persons arriving in the country, which are declared to have been in the possession and use of the passenger for a reasonable period. 1 (f)Used personal effects, not being merchandise, of citizens of Belize or persons ordinarily domiciled in Belize, who have died abroad as approved by the Comptroller of Customs. Exemption under these items does not include motor vehicles, office equipment or building materials. 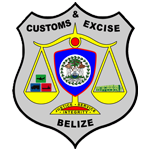 *If the passenger is not a Belizean or holds a Belizean residency permit, the duties for household effects will be charged in accordance with the rates as set out in the Belize Customs Tariff. Duty exemption may be applied for from the Ministry of Finance. *Restrictions are placed on the importation of wooden furniture included in household effects and requires an import license from the Ministry of Trade prior to importation.